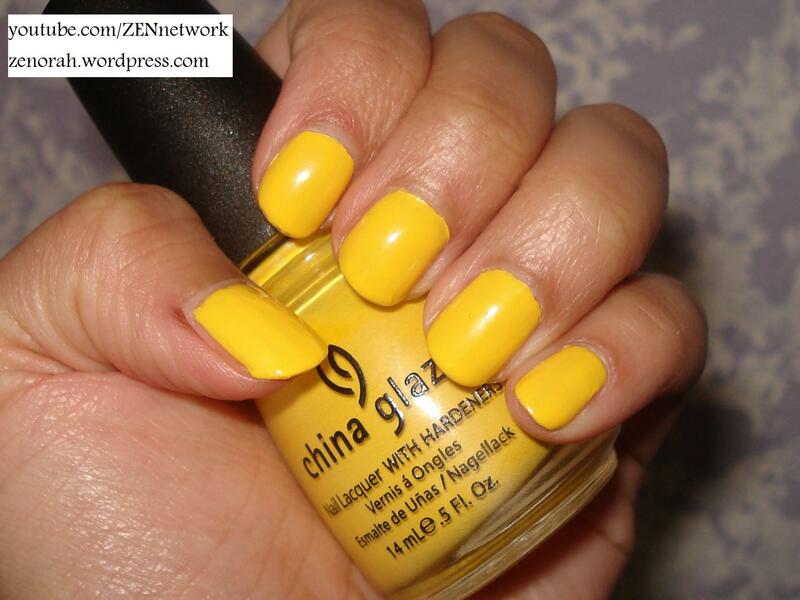 China Glaze Happy Go-Lucky – is a bright yellow creme and was part of China’s Glaze Up & Away Collection 2010. I apologize for the crappy nail polish application but this polish was a lot more difficult to work with than I remember it to be. The colour is gorgeous, bright and definitely a fashion statement – even though it is still cold in Toronto, I needed a little bit of shine to remind myself the warmer days are up ahead and this polish definitely lifted my spirits. You guys know my favourite colour is yellow – however this polish dishearten me with the application problems and it had a longer than usual drying time. On top of that it started to chip away at the finger tips the same evening I applied it. I did not keep this manicure long enough to test for wear but from my 2 day experience with it – I am certain it is one that chips easily! In it’s defense, it is hard to find a yellow polish that is not prone with problems – it seems to the be the problem child out of all the colours in the rainbow to capture in a beautiful bottle of nail polish – the colour is worth it but if you do not have the patience for almost 4 thin coats of yellow nail polish with a long drying time I would DEFINITELY skip this one. Do you own China Glaze Happy Go-Lucky? What are your thoughts on this nail polish? was this the color in a recent video? because i saw it and was wondering about it. looks great on you tho! hi girlie! thank you 🙂 yeah this was the yellow polish i was wearing in my most recent set of videos.